Spending on security, including hardware, software and services, will reach $91.4 billion this year, according to a new forecast from International Data Corp. (IDC), marking a 10.2 percent increase over 2017 spending. That growth rate will remain relatively steady throughout the forecast period, according to the company, holding a compound annual growth rate (CAGR) of 10 percent from 2016 to 2021, when the forecast calls for $120.7 billion in spending. Banking, discrete manufacturing and federal or central government will be the three industries spending the most on security this year, combining for total spending of more than $27 billion. The process manufacturing, professional services, consumer and telecommunications industries will each account for more than $5 billion in spending this year as well. Telecommunications will be the industry that sees the fastest growth in spending, with a CAGR of 13.1 percent. Education and state and local government will tie for second place at 11.6 percent. The banking and resources industries will follow, with CAGRs of 11.4 and 11.3 percent, respectively. "Banks, discrete manufacturers, especially within the high-tech sector, and the federal government are spending the most on security to avoid large scale cyber attacks and adhere to regulatory compliance," said Eileen Smith, program director of customer insights and analysis at IDC, in a prepared statement. 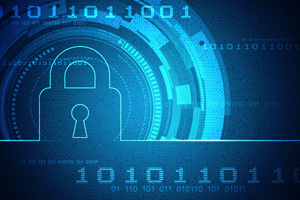 "Looking ahead to 2021, as the need to protect IoT connected devices and infrastructure becomes paramount, industries like telecom and state and local government will drive growth in worldwide security spending." Managed security services, those that are managed by a third party for a single customer and residing on the customer's property, will lead spending in 2018 at nearly $18 billion. Managed services will also represent the largest spending category among each of 2018's top five spending industries. Network security hardware will be the second largest technology category by spending this year, followed by integration services and software for endpoint security. The fastest growing technology category through 2021 will also be managed security services, with a CAGR of 14.7 percent. Network security hardware will come in second at 11.3 percent, followed by security and vulnerability management software at 10.9 percent and network security software at 10.7 percent. The United States will lead spending by geographic area, accounting for more than a third of this year's total at $38 billion. The United Kingdom will come in a distant second with $6.5 billion, and China will take the third spot with $6 billion in spending. Japan and Germany will round out the top five with $5.1 billion and $4.6 billion in spending, respectively. China will be the only top five spender in 2018 to be among the four countries that will see the fastest growth in spending throughout the forecast, with a projected CAGR of 26.3 percent. "IDC predicts that by 2020, 30 percent of security spending will be on vendors that provide an integrated platform approach to security," said Sean Pike, program vice president for IDC's security products and legal, risk and compliance programs, in a prepared statement. "This shift will happen partly because of budget, but mostly because of complexity. Reducing complexity by moving to integrated platforms, whether in the cloud or on-premises, supporting a hybrid environment, also provides the potential for enhanced security as companies will make gains in manageability and automation."